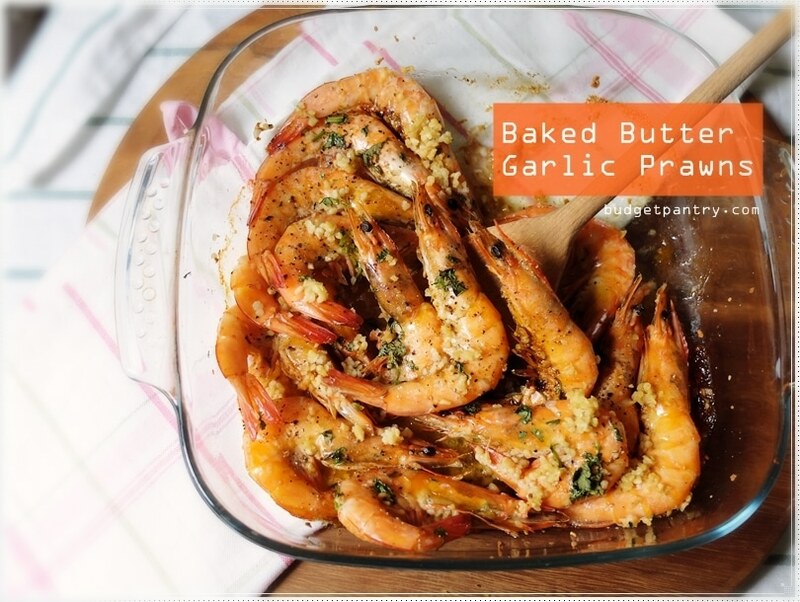 Last night I decided that this cannot go on, so I decided to make this quick and easy prawn dish for dinner. It didn’t take me much effort at all. After reaching home at 6pm, I took out my bag of grey prawns ($9.60 for 500g from PurelyFresh) and started to clean and devein them. After they’re done and pat dry, simply toss everything in a baking dish (I used Pyrex), then drizzle with melted butter, olive oil, chopped garlic, a sprinkle of chopped coriander, a pinch of salt and a squeeze of lemon juice. If you wish, you can add some freshly grounded black pepper. You really don’t need anything else. I popped it into the oven and dinner was ready in 10 minutes. If you have time, you can also easily prepare some stir fried vegetables while the prawns are cooking. 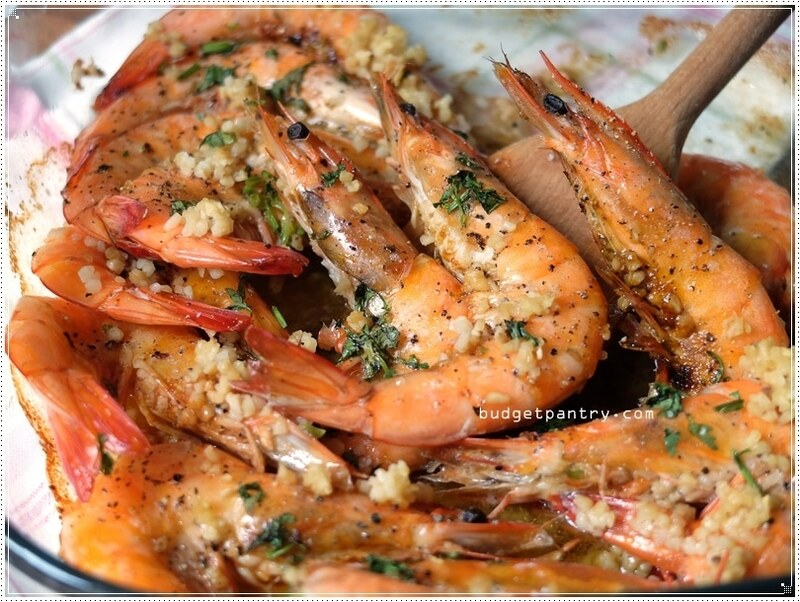 The aunts and the husband loved this dish because the simple ingredients meant that they could enjoy the sweetness of the prawns. The flesh was firm and extremely fresh, and although the size stated was M-L, I got mostly large sized prawns as you can see in my pictures. So this is it! 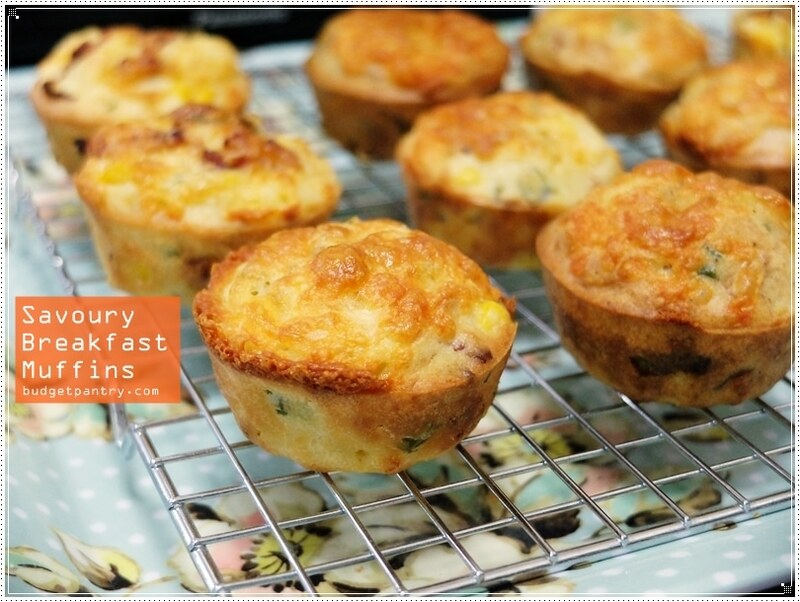 One of the easiest recipes I’ve shared on the blog. 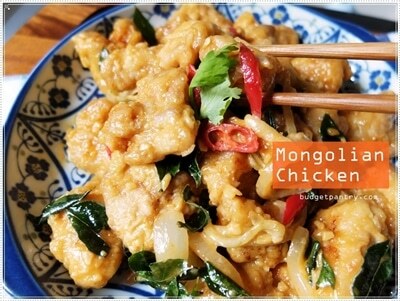 If you have 20 minutes (including prep time), you can make this! Preheat oven to 190C. Snip away all the whiskers, devein and clean prawns. Arrange in baking dish, then add all ingredients and toss to coat. 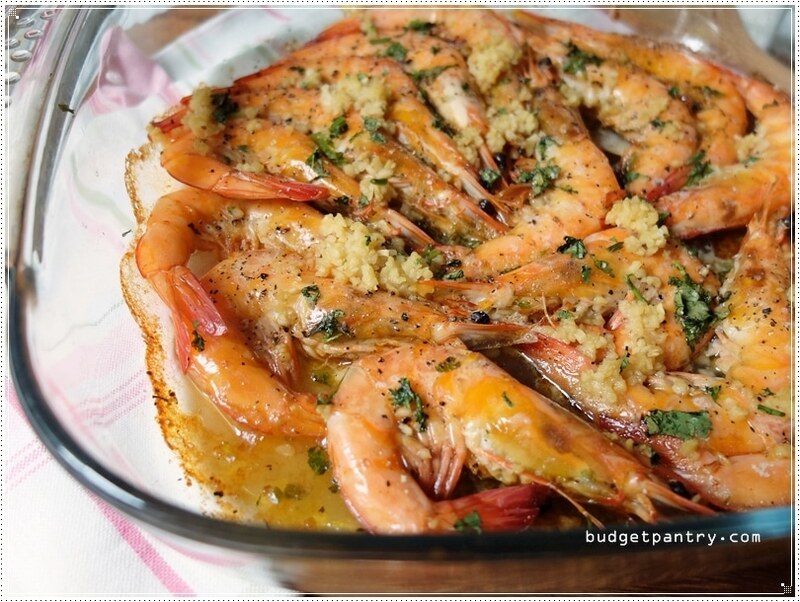 Bake for 10 minutes till prawns turn pink. Dig in!